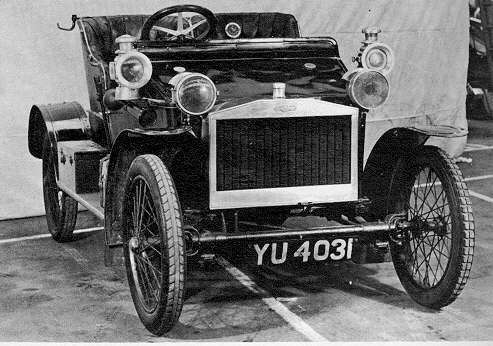 This was the first ever Riley 9 Car, and perhaps as important as the later, and much more famous Riley 9 models of the 20s and 30s. Perhaps more commonly referred to as the V-Twin, to help differentiate from the later cars, this was the first ever 4-wheeled car built in volume by Riley. 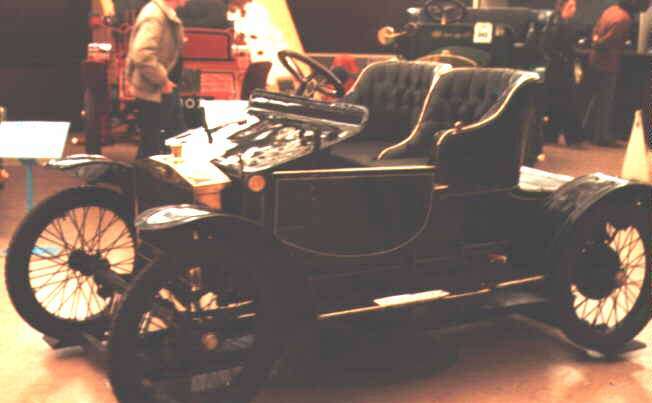 It was also the car for which Percy Riley had set up his independent Riley Engine Company 2 years earlier, when his father again refused to support development. A completely new design from any previous Riley, except for the engine which was a development of the Water-cooled unit launched a little earlier in the Tricars in both 4½ hp single cylinder and the same 9hp V-Twin format. Some things were not so different from the tricars, as the engine was still mid-mounted, under the seats, and mounted trasversely with a gearbox on the end of the crank driving the rear axle by chain. The bodywork, however was quite different, with two seats side by side over the engine box and a dash panel to cover the footwells behind the front mounted radiator. The car proved an instant success when it went on sale early in 1906, and remained on the market almost unchanged for 5 years, building up a series of successes in a variety of competitions over those years. Today there are still a handful of survivors.